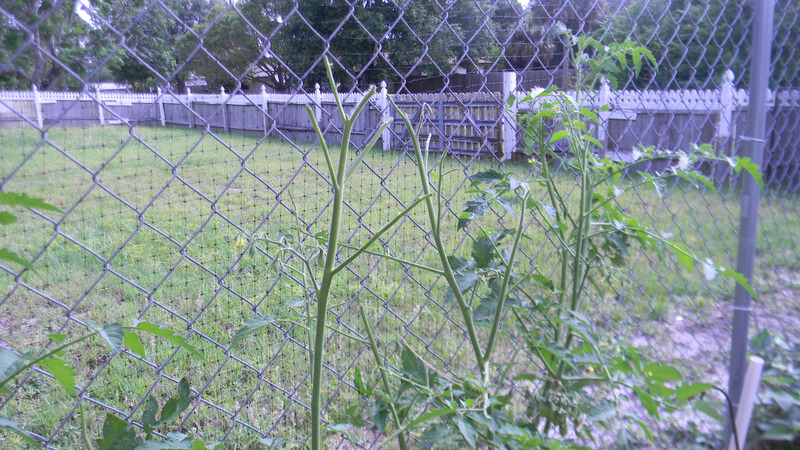 I went out to water my plants this morning and discovered the tops of some of my Roma tomatoes missing! 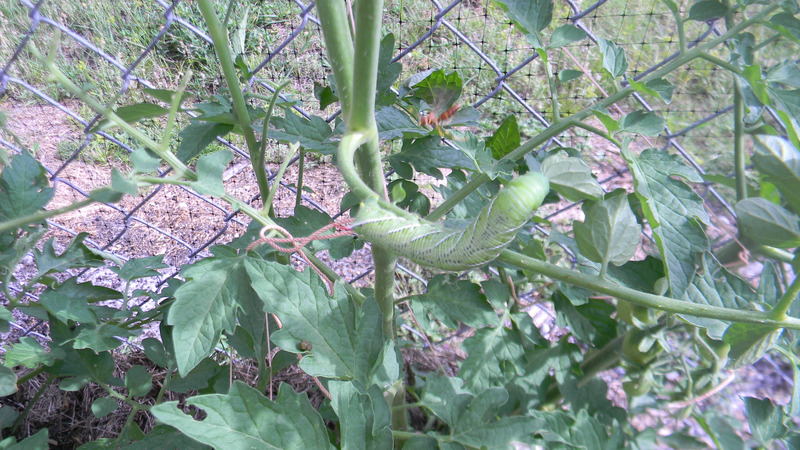 On closer inspection I discovered some tomato hornworm moth caterpillars. How did I miss these? 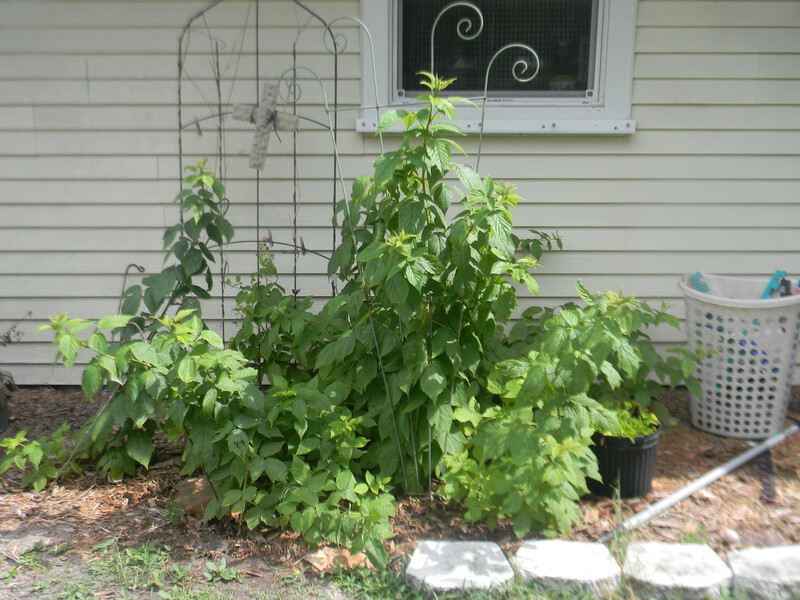 A garden is like a child, you have to watch it closely and I had not been doing my job. 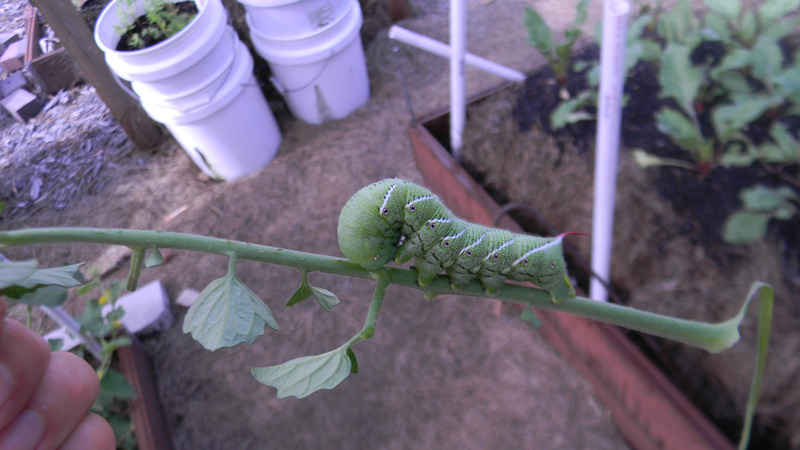 The best way to spot caterpillars early is to inspect for droppings. As big as these caterpillars were they had to have been around for a while. Hopefully I won’t make this mistake again! And for those who want to know, yes I did squish them, it’s a shame because they are beautiful. 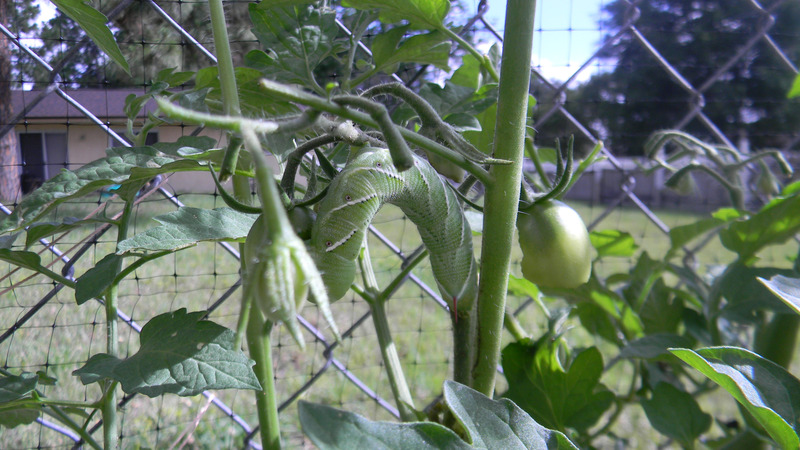 This entry was posted in Daily Life, Gardening, Insects, Pests, Photography, Posts and tagged Hornworm moth, Spotting a hornworm moth caterpillar, Tomato Hornworm moth. Bookmark the permalink.